Here is an accounting of ex-Michigan players who transferred, failed to qualify, or decommitted from the Wolverines. The information is accurate to my knowledge, but any updates or corrections are welcome. Ward committed to Michigan in October 2012. A couple months later, he chose to move from Illinois to Florida without informing Michigan’s coaching staff. In January 2013 Michigan decided to part ways with Ward. He committed to Purdue only to decommit in December 2013. He ended up signing with Syracuse on National Signing Day 2014, but he never played for the Orange due to injuries. Conley committed to Michigan in March 2012 as a largely unknown prospect, despite having a solid junior season. 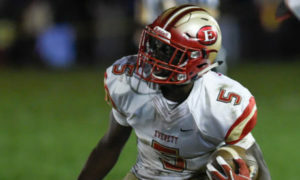 A while after he committed to the Wolverines, the home state Buckeyes came calling with an offer. Conley could have re-affirmed his pledge to Michigan, but something seemed fishy when he was holding off on visiting Ann Arbor and refusing to publicly acknowledge his commitment to Michigan. He visited Ohio State for the game between the Wolverines and Buckeyes, then flipped to Ohio State in December 2013. Barnett was an outstanding tight end coming out of high school. He tore his ACL during his senior year and struggled to regain his playing shape. When he arrived at Michigan in the summer of 2011 for his freshman season, he weighed 278 lbs. By late August the distance from home, the summer classwork, and the required physical conditioning forced him to leave the program and re-evaluate his options. He enrolled at a Texas JC, but has since left that program. Brown was the first commitment of the 2011 class after choosing the Wolverines in September of 2009. He enrolled early in January 2011, but was one of those kids who was caught in the middle between Rich Rodriguez and Brady Hoke. Rodriguez recruited him, but he wasn’t fired until January, when Brown was already on campus. The cornerback received mixed reviews in spring practices and played sparingly on special teams at the beginning of the 2011 season, but decided to transfer mid-season. He played sparingly for Findlay in 2012, then transferred to Iowa Central prior to the 2013 season. Carter was the first player to commit to Brady Hoke after Hoke was hired in January 2011. He redshirted as a true freshman and was suspended for part of spring practices in 2012 for a minor legal tiff, along with safety Josh Furman. Carter left the team prior to fall 2012. Conway committed to Michigan in the spring of 2010. However, it became clear that he would not qualify academically to be admitted to Michigan, so he attended Butte College in Chico, CA. As a freshman he had 28 receptions and 7 touchdowns. Crawford was a stellar high school quarterback and safety that Rich Rodriguez and his staff recruited successfully. 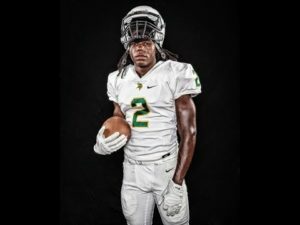 Crawford committed to Michigan and the hope was that he could help recruit his high school teammate, star receiver Sammy Watkins. But when the coaching staff was fired in early January, Crawford got cold feet and signed on to play for Miami, his childhood favorite. Crawford redshirted as a freshman in 2011 and won the Scout Team Player of the Year for Defense. As a redshirt freshman in 2012, he played running back, ran 6 times for 23 yards, and went 1/2 passing for 29 yards. In 2013 he carried the ball 137 times for 558 yards and 12 touchdowns, plus he caught 20 passes for 171 yards and 1 touchdown. In the spring of 2014 he switched to safety. Fisher was a 6’7″, 260 lb. tight end in high school who was clearly headed for offensive tackle. He was athletic and a good blocker. Fisher committed to Michigan in summer 2010. 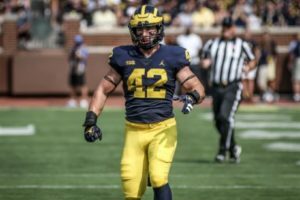 But when Rich Rodriguez was fired in January, Fisher started looking at other schools, unsure of whether he would fit in with new coach Brady Hoke’s offensive system. Despite several visits from Michigan coaches, Fisher chose the Oregon Ducks on National Signing Day. Fisher played as a backup offensive tackle and guard in 13 games as a freshman, and was a starter for Oregon in his sophomore and junior seasons. 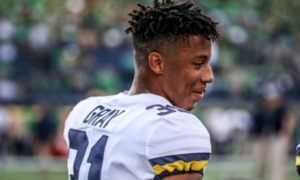 Goudis was offered by the Wolverines to shore up their kicking game, even though Michigan already had two scholarship kickers (Brendan Gibbons, Will Hagerup) on the roster. Goudis flipped from being a Boise State commitment to a Wolverine. Rumor has it that Goudis was expecting Stanford coach Jim Harbaugh to get the Michigan job, so when Brady Hoke was hired, Goudis changed his commitment again and became a Miami Hurricane. He redshirted as a freshman in 2011 and sat on the bench in 2012. As a redshirt sophomore in 2013, he was 13/17 on field goals and 57/57 on extra points. Jones was a solid recruit and seemed like a solid student and individual. Throughout the coaching change from Rich Rodriguez to Brady Hoke, he stayed pretty strongly committed to the Wolverines. He enrolled at the University of Michigan in June, but left the school in July for undisclosed reasons. After transferring to Oklahoma, Jones played mostly special teams and made 9 total tackles as a true freshman in 2011. When his freshman season ended, he decided to transfer again, this time to Clemson. Posada committed to Rich Rodriguez and stuck with the program through the hiring of Brady Hoke in January. However, he arrived in Ann Arbor weighing 340 lbs. and was vastly out of shape. His departure was announced on August 22, only a couple weeks into his freshman season. Posada committed to Rich Rodriguez and stuck with the program through the hiring of Brady Hoke. He redshirted as a true freshman in 2011 but departed in May 2012. Rock reappeared as a walk-on defensive tackle at Ohio State for the 2013 season but played in just one game. Sousa was somewhat lightly recruited early in his career. Having played soccer as a kid, Sousa first took up football as a sophomore in high school. Furthermore, he was part of a fledgling program at Lake Nona High School, whose team performed poorly in its first seasons. 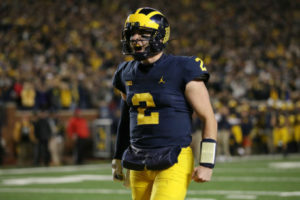 Sousa committed to Michigan in June 2010, but Michigan’s coaches – under Rich Rodriguez – continued to recruit other quarterbacks, despite telling Sousa that he was their guy. Sousa decommitted from Michigan and chose Wake Forest instead. He redshirted as a freshman in 2011 and has not played during his time there. 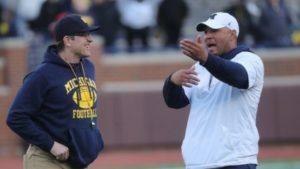 Christian pegged Michigan as his leader throughout much of the recruiting process, but it wasn’t until November 2009 that he finally pulled the trigger publicly. 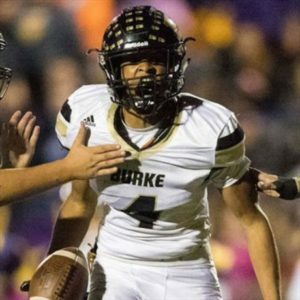 He was expected to compete for playing time in a depleted secondary, but found himself buried behind much less heralded recruits for his entire freshman year. He played in 10 games as a freshman and made only 6 tackles. After Rich Rodriguez was fired in favor of Brady Hoke, Christian gave it a go through spring practices. Ultimately, he did not like his place on the depth chart and asked for his scholarship release papers on April 22, 2011. He transferred to Pitt and sat out the 2011 season due to transfer rules. 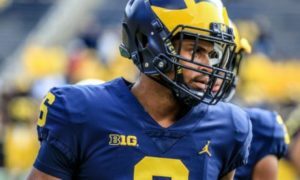 Dorsey committed to Michigan on National Signing Day, but was released from his Letter of Intent when Michigan’s admissions department denied him entry. Dorsey played the 2011 season at Grand Rapids Community College, whose program was dismantled after the season was finished. Dorsey announced that he would transfer to Hawaii in May 2012 but does not appear on their fall roster. Drake committed to Michigan in March 2009 and looked like Michigan’s next tiny slot receiver. However, the Wolverines stopped recruiting him (a tactic thought to be grade related) and he switched his commitment to Colorado State in January 2010, shortly before National Signing Day. Drake played as a true freshman in 2010 at both WR and RB. He had 6 receptions for 71 yards to go along with 7 rushing attempts for 89 yards and 1 touchdown. He also averaged 24.3 yards an attempt on 29 kickoff returns. Prior to the 2011 season, he was declared academically ineligible. 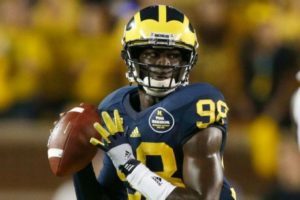 He left Michigan’s football team after the 2012 season but received his degree before transferring to Tennessee State University. As a fifth year senior in 2014, he started five games at fullback and carried the ball 51 times for 222 yards and 1 touchdown, along with 3 catches for 22 yards. Johnson committed to Michigan in late 2009 and arrived on campus in summer 2010. He immediately earned a starting job at the hybrid safety/outside linebacker position . . . and immediately got injured. He started 3 games in 2010, picking up 18 tackles, 2.5 tackles for loss, 1 sack, and 1 pass breakup. Relegated to a backup safety role in 2011, Johnson made 6 tackles, 1 pass breakup, and 1 fumble recovery in the first half of the season. However, he decided to transfer to Hampton after the midway part of the season. 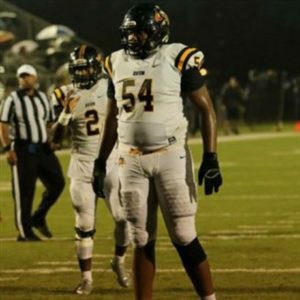 Jones committed to Michigan after the Wolverines were the first team to offer him. Due to some personal issues, Jones was a late bloomer on the football field. He committed to Michigan to play quarterback, but with the ability to play QB, WR, or DB, he said he would play wherever Michigan wanted him. However, he failed to qualify on time, and then dropped out of the prep school that was supposed to prepare him for enrollment at Michigan in January 2010. He then enrolled at Marshall but has since left that school as well. Kinard was an early commitment to Michigan as a tweener DE/OLB prospect. However, he failed to qualify for admission to Michigan. He enrolled at Hargrave Military Academy in an effort to academically qualify and signed a National Letter of Intent to play for Miami as part of the Class of 2011. Originally from Orlando (FL) Dr. Phillips, Miller was an early commitment to Michigan as a wide receiver. He moved to Michigan for his senior year and joined the football team upon graduation, but he could never find a spot to contribute. He bounced from wide receiver to H-back and back to wideout, but none of the positions stuck. He left the football team after his third year in the program, graduated from Michigan, and transferred to UMass. Pace committed to Michigan in the spring of 2009 and looked like a solid upcoming replacement for upperclassman David Molk. However, during his freshman season, he suffered a shoulder injury that caused him prolonged problems. There were rumors that his injury would be career-ending, but he participated in spring practices, playing mostly as a backup guard. In the summer of 2011, though, he received a medical scholarship and left the program. Robinson committed to Michigan in February 2009. 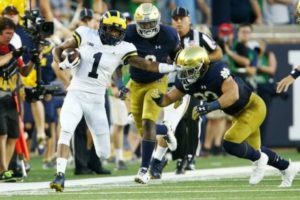 He was destined to be a slow-ish possession receiver, but standing in his way were some work ethic issues that made him have to “earn his wings” from Rich Rodriguez as a freshman. He redshirted in 2010, played sparingly in 2011, and then worked his way into the rotation at the beginning of the 2012 season. He made 5 catches for 69 yards before deciding to leave the team mid-season. 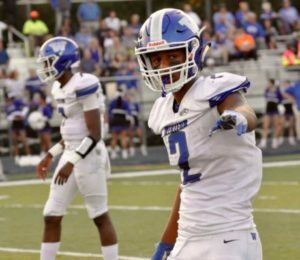 Rogers committed to Michigan late in the recruiting process, earning an offer from the Wolverines in the weeks leading up to Signing Day. He was, however, an academic risk and rumored to be a potential casualty by the time fall rolled around. Rogers showed up on campus and participated in fall practices, but disappeared from the program in September 2010. Rogers transferred to Youngstown State University for 2011 and made 45 tackles, 6.5 tackles for loss, 2 sacks, 1 interception (returned 27 yards for a touchdown), and 5 pass breakups while also blocking 2 kicks. He left YSU’s program after the 2011 season. Talbott, along with his younger brother Terrence (a cornerback), committed to Rich Rodriguez in August of 2009. Terry was an undersized defensive tackle at less than 250 pounds and sat through an obviously necessary redshirt year. In the spring of 2010, it was revealed that he was suffering from back issues that caused him to sit out spring practices. Those troubles persisted and he left the program in July 2011 before his redshirt freshman year. 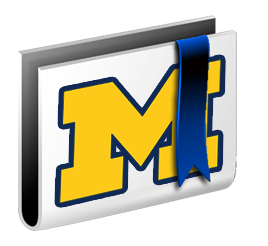 Vinopal committed to Michigan on the same day his Cardinal Mooney high school team won their state championship. As a true freshman in 2010, he earned the starting free safety job halfway through the season. He ended the year with 33 tackles, 1.5 tackles for loss, 1 interception, and 3 pass breakups. However, he left the team in the offseason due to undisclosed personal reasons and transferred to Pitt, where he sat out the 2011 season due to NCAA transfer rules. White committed to Michigan fairly early on in the process, bucking the family trend that sent his brothers to Michigan State. 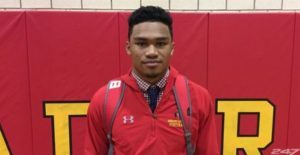 Rumors were rampant upon his recruitment that he was a bit of a prima donna in high school and had personality clashes with school personnel at Stevenson High School. He enrolled early in January 2010, but was seemingly “encouraged” to leave the program during August practices prior to his freshman season. White enrolled at Central Michigan University in January 2010 and joined the football program, where he sat out the 2011 season. White was kicked off the team in spring 2012 before ever playing a down of football. He then ended up at Western Iowa Community College, where had 460 rushing yards and 3 touchdowns in 2013. He transferred to D-II Fairmont State in West Virginia, where in 2014 White had 128 carries for 399 yards and 4 touchdowns, and he had 9 catches for 46 yards. Williamson committed to Michigan in March 2009 when, according to Rivals, he had no other offers. Known as a kid with good speed and not much else, he seemed to be a bit of a reach that early. He redshirted as a freshman in 2010 and did not play much in spring 2011. He left Michigan after winter semester. Beaver committed to Michigan in fall 2008, but decommitted in December and enrolled at Tulsa in January 2009. As a freshman, he was 1/3 for 6 yards as a passer, and he carried the ball 27 times for 63 yards. As a sophomore in 2010, he completed 4/6 passes for 62 yards, 0 TDs, and 1 interception; he also carried the ball 20 times for 102 yards and 1 TD. Beaver transferred to Midwestern State in July 2011 after learning that he would be sitting out the season at Tulsa due to grade issues. Bell committed to Michigan in March 2008 and entered college as a 6’1″, 220-ish pound safety. However, he added significant weight, and not the type of healthy weight to remain at safety. Rich Rodriguez and staff moved him to middle linebacker, where he continued to languish. When Brady Hoke was hired, the new staff experimented with Bell as a weakside defensive end. Bell left the program prior to the 2011 season without ever playing in a game at Michigan. He transferred to Lake Erie College, a Division II program; as a redshirt junior in 2012, he had 7 tackles and 1 forced fumble. Emilien came to Michigan after blowing out his knee prior to his senior season of football. Several other teams backed off their scholarship offers, but Michigan stuck by him. He played in five games on special teams as a true freshman. As a sophomore in 2010, he played sparingly in the opener against UConn but then requested a transfer after Cameron Gordon was named the starter. Emilien sat out the 2011 season due to transfer rules. Fera committed to Michigan in summer 2008. He then changed his commitment to Penn State in fall 2008. As a freshman, he redshirted. In 2010 he averaged 41.4 yards per punt on 46 attempts. As a redshirt sophomore in 2011, he averaged 42 yards per punt and was 14/17 on field goals. He transferred to Texas prior to the 2012 season after sanctions were levied against PSU. Forcier was an early enrollee in January 2009, the first true quarterback prospect to arrive on campus since Rich Rodriguez’s arrival. He seized the starting job as a freshman and started all 12 games. His most memorable game in a 5-7 season was against Notre Dame, in which he had a couple clutch touchdowns to finish off the Irish. He finished the season 165-for-281 for 2,050 yards, 13 touchdowns, and 10 interceptions; he also gained 240 yards and had 3 touchdowns. However, Forcier fell out of favor with the coaches in the off-season and was demoted for his sophomore year in 2010 in favor of Denard Robinson. He played in 8 games and replaced an injured Robinson in the Illinois game, leading the team to a 67-65 victory in triple-overtime. 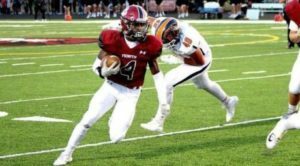 Forcier finished his sophomore season 54-for-84 for 597 yards, 4 touchdowns, and 4 interceptions; he also rushed 22 times for 51 yards and 1 touchdown. He transferred to San Jose State University and sat out the 2011 season due to NCAA transfer rules, but left the school in January 2012 for academic reasons. He signed with the Hamilton Tiger-Cats of the CFL in spring 2012 but was cut from the team. Graves committed to Michigan in fall 2008. He then changed his commitment to Texas Tech just before Signing Day. He redshirted as a freshman. As a redshirt freshman backup DT in 2010, Graves had 20 tackles, 2 sacks, and 4.5 tackles for loss. Graves left the team in September 2011 due to undisclosed reasons. Jones committed to Michigan in spring 2008 and joined Detroit Cass Tech teammates William Campbell and Thomas Gordon in forming a trio from the same school in the class. While Jones arrived on campus expecting to play slot receiver, he switched to cornerback in summer practices because of a shortage at the position and made 5 tackles throughout the year. In fall 2010 he switched back to offense and ran the ball 3 times for 7 yards against Bowling Green. However, he suffered a knee injury against Illinois and did not play again in 2010 or participate in spring practices in 2011. He received a medical scholarship and left the team in summer 2011. Jones committed to Michigan in fall 2008. He changed his commitment to Arkansas on National Signing Day in February 2009. As a freshman, he started 3 games and finished with 24 tackles, 3.5 tackles for loss, 2.5 sacks, and 1 pass breakup. As a sophomore, he made 38 tackles, .5 tackles for loss, and 2 forced fumbles. As a junior, he made 19 tackles, 2 tackles for loss, and 1 sack. Lalota committed to Michigan as a 4-star defensive end prospect. He learned the game of football late, having not joined his high school team until his junior year. After bulking up from 235 lbs. as a freshman to 270 lbs. as a redshirt freshman, he was buried on the depth chart at DE. He transferred to Rutgers prior to the 2010 season and sat out the year due to NCAA transfer rules. 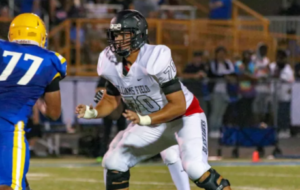 The Scarlet Knights tried to make him an offensive lineman, at which point Lalota decided to quit the football team. McNeal committed to the Wolverines in early fall 2008 and was apparently recruiting other kids to come to Michigan. However, he had a change of heart during the football season and ended up signing with Clemson in February 2009. He redshirted as a freshman in 2009. As a redshirt freshman in 2010, he had 19 catches for 187 yards; he also carried the ball 4 times for 7 yards. He caught 1 pass for 8 yards early in 2011 but decided to transfer mid-season. He transferred to UConn but is not currently on their roster. Newsome committed to Michigan in summer 2008, despite previously insisting that he wanted to play in a pro-style offense. He changed his commitment to Penn State in fall 2008 and enrolled early in January 2009. He backed up senior Daryll Clark, completed 8/11 passes for 66 yards, and ran the ball 20 times for 95 yards and 2 touchdowns. As a sophomore in 2010, he completed 6/13 passes for 78 yards. He sat out the 2011 season due to transfer rules. Peace committed to Michigan in summer 2008, but as the recruiting process advanced, Michigan’s coaches became insistent that he play cornerback. Peace changed his commitment to Arizona in an effort to play his favored position, wide receiver. He redshirted as a freshman and moved to cornerback in spring 2010. Peace was arrested for aggravated assault during his freshman year and transferred to Blinn Junior College. He then played the 2011 season at Houston, where he caught 13 passes for 108 yards. Stokes was a highly touted recruit coming out of high school, but struggled to work his way up the depth chart at Michigan. He caught only 2 passes for 16 yards as a freshman in 2009 and 1 pass for 11 yards as a sophomore. After being passed up by younger receivers, he chose to leave the program in August 2011. He transferred to Bowling Green, where his younger brother Malik also plays. Turner was a 4-star cornerback from the same school as Shawn Crable. He showed up late to camp as a freshman because of some NCAA Clearinghouse issues, and he was reportedly out of shape. Still most Michigan fans assumed he would play in 2009, especially when starter Boubacar Cissoko was suspended (and eventually kicked off the team). However, Turner remained on the bench for the entire season and redshirted. He left Michigan prior to the 2010 season, after some reports indicated he had outgrown the position (listed at 6’2″, 197 lbs.) and didn’t have the necessary agility to play CB. While sitting out the 2010 season at West Virginia, he then decided to transfer to a junior college in Ohio . . . but ended up at Scottsdale (AZ) Community College. At Scottsdale he made 47 tackles, 1 tackle for loss, 3 interceptions, 17 pass breakups, 2 forced fumbles, and 2 fumble recoveries. Witty committed to Michigan on National Signing Day in 2009, along with teammate Denard Robinson. However, Witty failed to qualify and spent a semester working to get through the NCAA Clearinghouse. 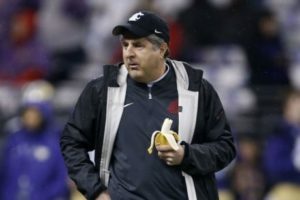 Michigan then denied him entry, but Head Coach Rich Rodriguez put in a good word with Cincinnati’s coaches and Witty enrolled at Cincinnati in January 2010. As a freshman in 2010, Witty had 1 tackle. As a sophomore in 2011, he made 15 tackles, 1 pass breakup, and 1 forced fumble. 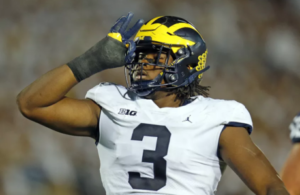 Zuttah committed to Michigan in December 2002 and was selected to play in the Army All-American Game, but he couldn’t participate because it coincided with Michigan’s orientation, since he was an early enrollee. However, the doctors at Michigan refused to clear him to practice, citing his sickle cell anemia. He transferred to Stanford, where he played two games in 2004, but he was unable to continue playing for long due to his illness. He graduated from Stanford with a degree in economics.